The carrying bag has an attachable shoulder strap and sturdy rubber handle. 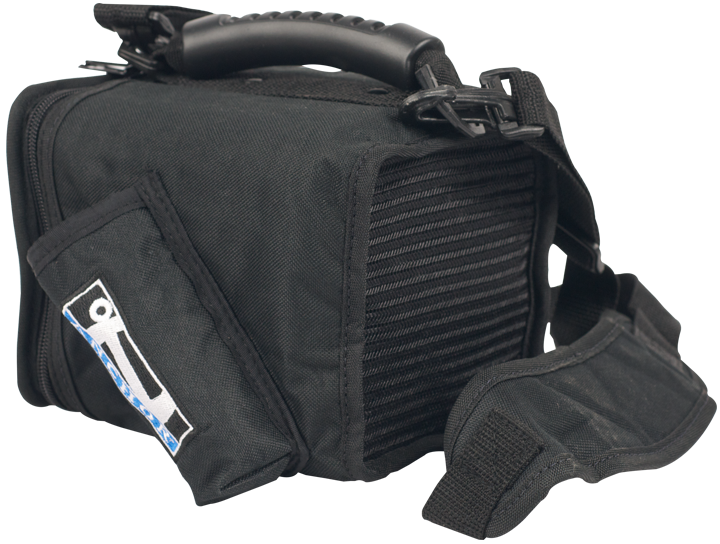 With a zipper to access the back panel of the PA system, the system can easily be turned on and off as well as adjust the volume. Carry the wired microphone (MIC-50) in the side mic pocket and use the mesh pocket on the other side to carry small items such as an AUX cable. The SOFT-30BK has a two year warranty.